When it comes to success, pursing opportunities is important, but it’s equally important to build relationships with people who can help guide you towards success. A great way to obtain this kind of guidance is by finding a mentor or mentors. 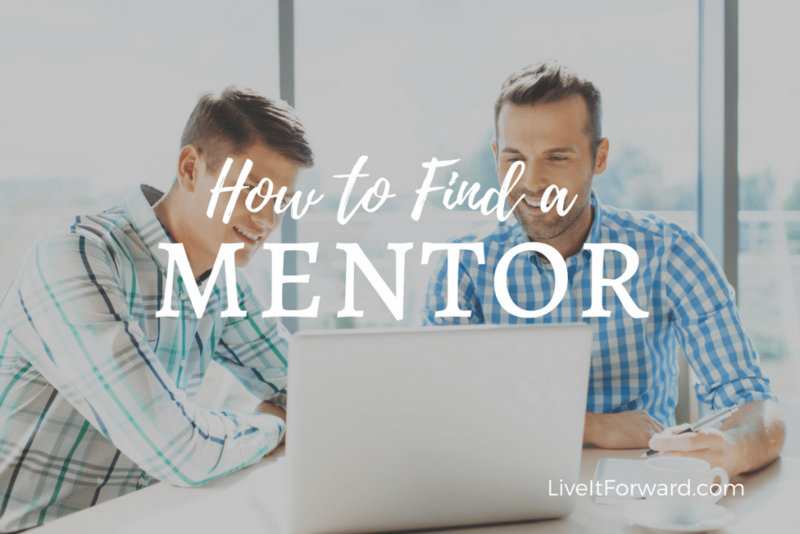 In episode 076 of The Live It Forward Show, you’ll learn some easy-to-apply tips for how to find a mentor as well as how to treat mentors the right way. Did you like this episode? Then I’d love to hear from you! Here’s how to leave a rating and review on iTunes. Additionally, when leaving a rating and review on iTunes, be sure to include your name and website so I can give you a shout out on the show and we can link back to your website in our show notes. We are currently at 106 reviews. Thank you!!! Ratings and reviews are extremely helpful and greatly appreciated! They help with the ranking of the show, and I read every single one of them. Kindly leave an honest rating and review for The Live It Forward Show on iTunes.